This spring we’ve warmed things up by developing new designs with award-winning furniture company, Cliff Young Ltd. Our collaboration showcases two cutting-edge contemporary-classic installations: one that features mixed metal materials inspired by images of modern skyscrapers and the play of reflected light and the other influenced by contemporary floating cabinetry. We’ve created this furniture line to reflect timeless luxury and effortless elegance. The audience these pieces attracted at both the Architectural Digest Design Show and High Point Spring Market confirmed that this collaboration was a success. Luca Fireplace by HearthCabinet® + Cliff Young Ltd.
"You have to see them embedded in the furniture to understand how they revolutionize the idea of what a fireplace can look and feel like. A beautiful self-contained fire with no smoke and no chimney either!" says Cliff Young's owner, Leslie Azzolina Zarra. "We think the collaboration is the perfect marriage of sophisticated simplicity with the warmth of home." Faceted Fireplace by HearthCabinet® + Cliff Young Ltd.
Cliff Young Ltd. was founded in 1968 by Leslie Azzolina Zarra’s father, Cliff Young, an Italian-American who went from passionate musician to charismatic furniture designer. To this day their business maintains strong family values and exercises meticulous attention to detail while creating new signature pieces and when reproducing their classic products. 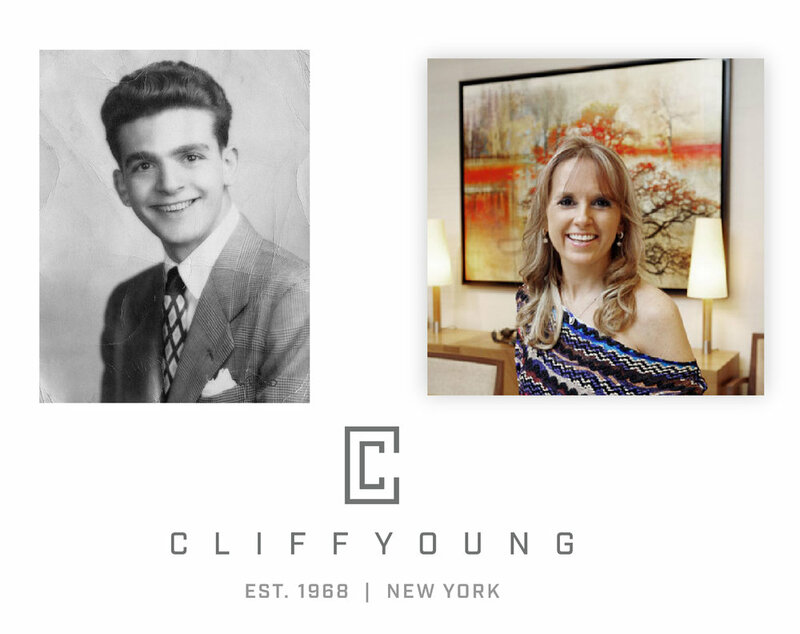 We have been honored to develop this line of quality furniture with Cliff Young Ltd. and hope to create more pieces in the near future. If you would like to order either of the custom pieces, please contact HearthCabinet® Ventless Fireplaces for info and pricing. Both can also be customized for size, color and detailing if you need to! To see more of our standard and custom Hearth Cabinet Luxury Ventless Fireplaces click here. We also offer volume/wholesale pricing for qualified relationships. Check out the great Wall Street Journal featuring HearthCabinet Ventless Fireplaces. We're excited that the 52 Lispenard project and HearthCabinet's custom fireplaces were highlighted. Check out HearthCabinet Ventless Fireplaces at the Hospitality Design Exposition (HD Expo) trade show at the Mandalay Bay Convention Center in Las Vegas, NV. We'll be showing a brand new custom HearthCabinet Ventless Fireplace design specifically for the show that is going to turn a lot of heads. Check out the great article the Wall Street Journal did on Amir Khamneipur Design's NYC project featuring a HearthCabinet Ventless Fireplace. Shown is a HearthCabinet Ventless Fireplace Model #202.